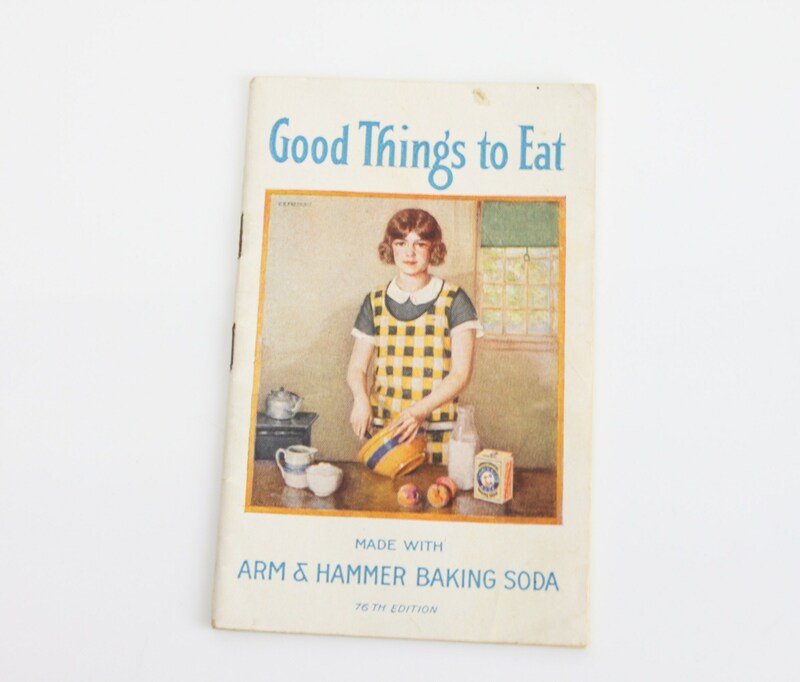 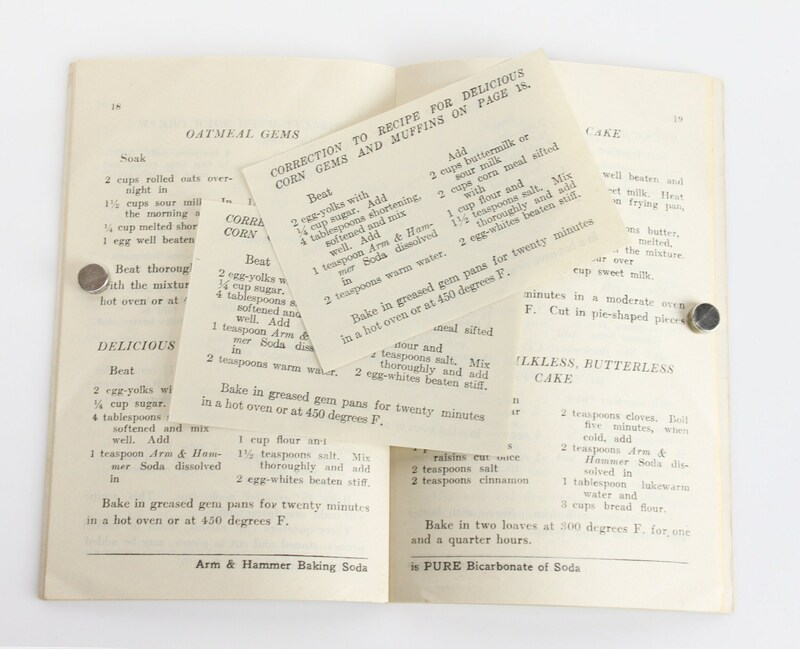 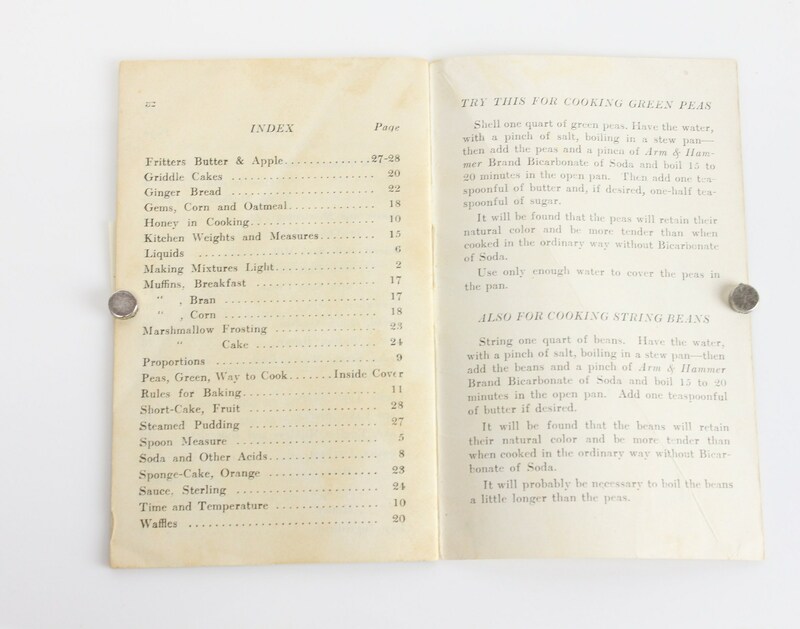 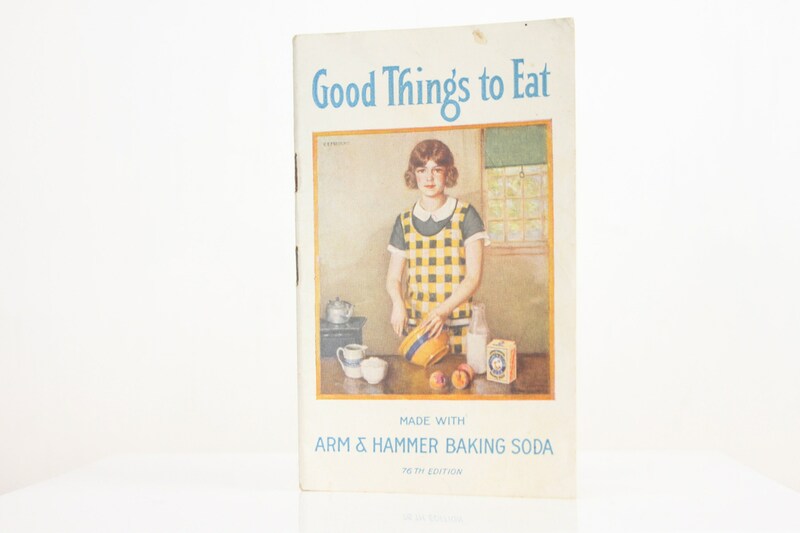 This wonderful little cookbook was compiled by Miss Alice Bradley - Principal of Miss Farmer's School of Cookery and published by Arm & Hammer Baking Soda. 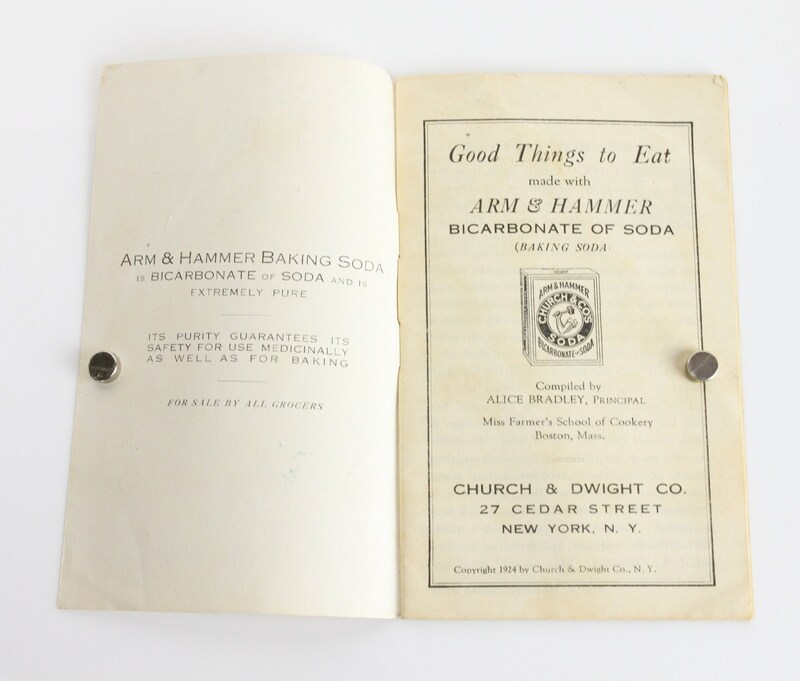 It is full of "nutritious" meals made using Arm & Hammer Baking Soda. 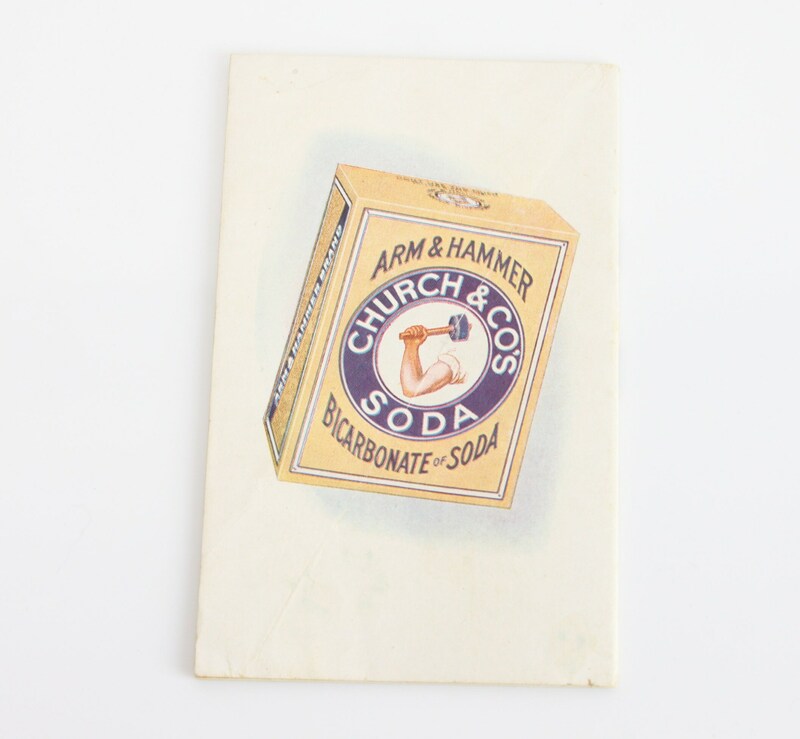 - Size: 5.75" X 3.5" & 1/16"